WARNING - If the lock ring is tight this tool will bend your dropout! Hypercrackers were invented by Pamir Engineering, who used to make them. Sadly they no longer do, indeed I think the company was wound up when its founder retired. To use a Hypercracker you remove the rear wheel and fit the Hypercracker into the spline of the lock-ring. 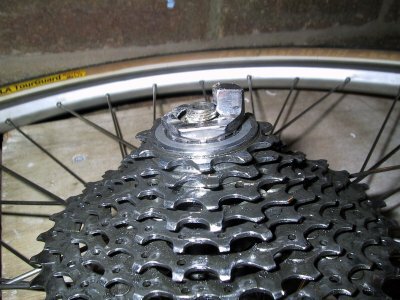 Then you replace the rear wheel in such a way that the frame or dropout prevents the Hypercracker rotating. All it takes then is a pull on the pedals (by hand should be sufficient) which rotates the cassette and rear wheel while the Hypercracker and lock-ring remain stationary. Voila! 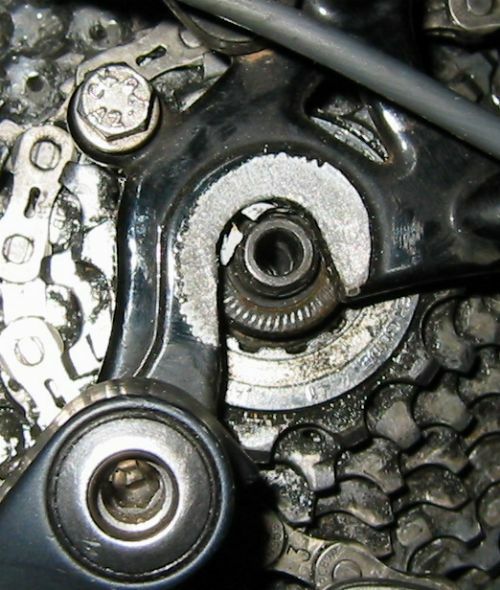 the lock-ring is loosened and when you remove the wheel from the bike you will be able to unscrew the lock-ring by hand and remove the cassette. 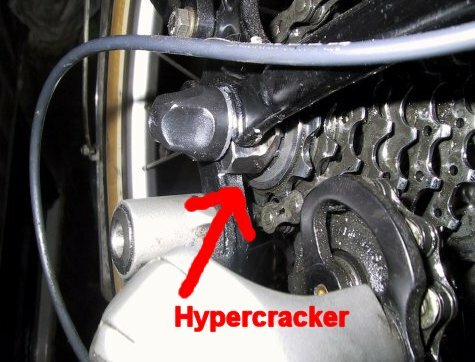 I first saw the idea of making your own Hypercracker on another cycle touring website: Ed and Jeanne Downing's. 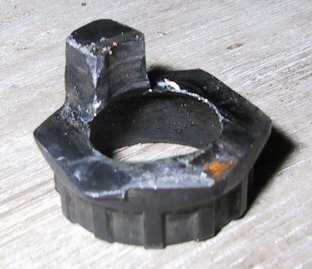 Their version involves some welding which mine doesn't, but then mine puts more load on the dropout and I did bend Juliette's dropout trying to release a very tight lock ring. I was not popular until it had been hammered and bent back into shape!